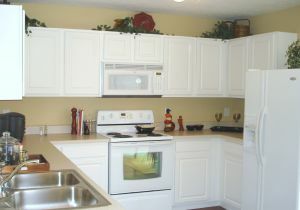 Alzheimers Kitchen Safety, is your kitchen safe? I promise to use it only to send you Alzheimers in Your Home Newsletter. Alzheimers kitchen safety is a very serious issue. The kitchen is probably the most dangerous room in the house for someone with Alzheimer's Disease. Many of the appliances we use daily are potential weapons in the hands of someone with this disease. Prevention is the number one way to prevent accidents. You have to think ahead with "what ifs". An example would be "what if she tries to wash the toaster while it is plugged in"? If you keep your appliances unplugged, you will prevent that from happening. A better way to prevent injury from small appliances would be to completely remove them from the counters and place them in a cabinet or closet which is locked. All sharp objects must be viewed as potential weapons also. They should all be in a locked drawer. There are many safety items on the market today which will help you create a safer environment for your loved one. Most are easy to apply and the cost is very reasonable. Every cabinet and drawer in your kitchen which you don't want them to get in needs to have a safety lock on it. The stove is another dangerous area. All of the knobs on the stove should be removed and kept in a locked drawer. If you don't want to remove the locks, there are stove safety knob covers available. When cooking you should always turn the handles in towards the back of the stove to prevent knocking them off. Counter-tops should be kept cleared off. Never leave any type of medicine out. They should all be locked in a cabinet, even over the counter medicines such as antacids and cough drops. Car keys should also be kept in a locked drawer. Emergency numbers should be posted in plain sight in your kitchen. Any doors to the outside should have a double lock on them. Often a small lock at the very bottom or the very top of the door will deter someone with Alzheimers from going outside. They will usually just look at locks which are eye level. Alzheimers kitchen safety takes a little time and effort but it is well worth it. The safer your environment, the more independence your family member will have and the easier your life will be.